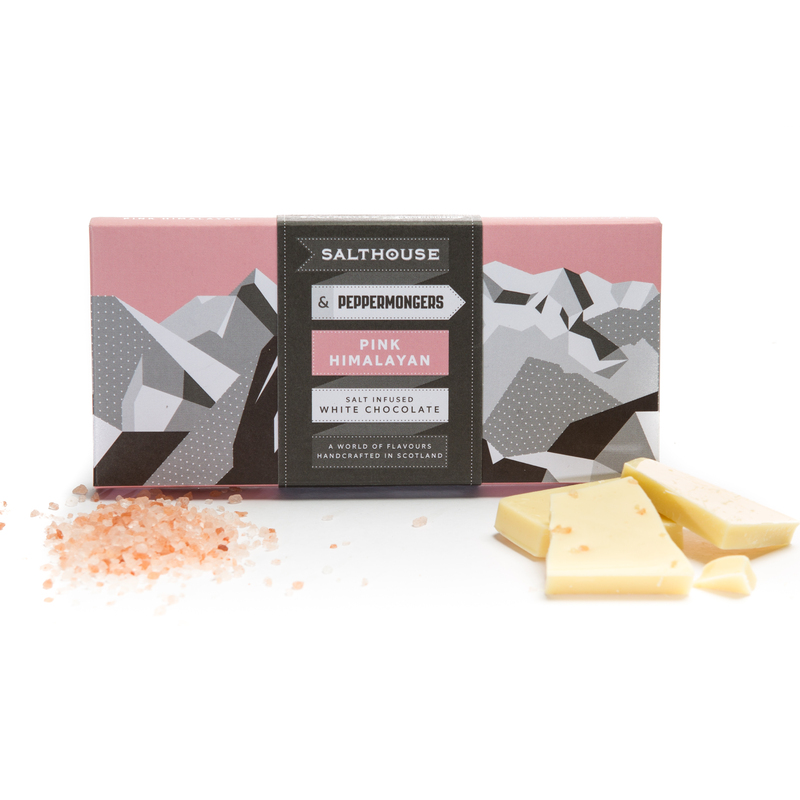 Mined from the mountains of Pakistan, this natural salt was once an ancient sea. Itsclean sweet flavour adds notes of sophistication and culture to our dreamy creamy white chocolate. The result is a completely delightful white chocolate.